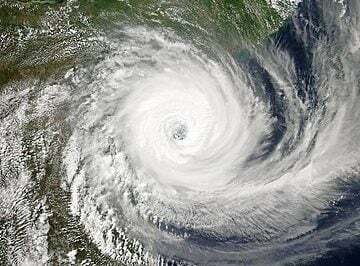 Do you want to teach your kids about the geography of the world but don’t know where to start looking? Here are a few great reads for kids about worldwide adventures, creating their own maps and learning the basics of cartography in an easy to read format. These five books are a fun way to introduce young kids to the diverse world of mapmaking and how they too can become a part of the adventure. In a heartwarming tale about a wee little pig called Henry, kids will be taken on a whirlwind adventure around a barnyard as Henry tries to put all of his farm companions in order. 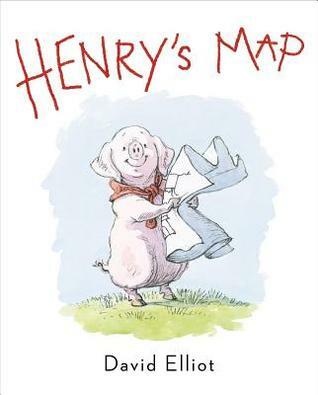 Henry is quite a particular pig who likes rhythm and reason; when the barnyard becomes a messy disaster he takes his companions and your child on a trip to map out where they all belong. An easy read for young kinds, this understandable story will make them laugh and teach them a little something about maps along the way. Read: Henry’s Maps. There’s a Map in my Lap! 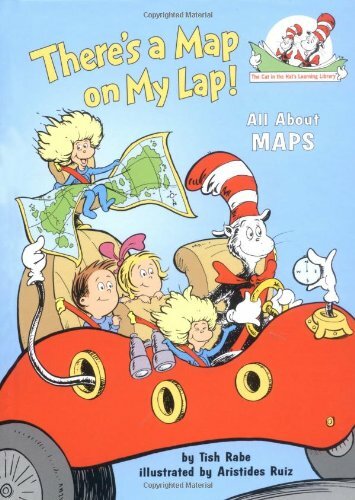 A Doctor Seuss inspired story from the Cat in the Hat’s Learning Library, There’s a Map on my Lap! will give children a happy and rhyming introduction to how much fun maps can be. Written by Tish Rabe and illustrated in the style of Dr. Seuss’ famous characters by Aristides Ruiz, the short story follows a few adventuring friends as they follow a map together. Read: There’s a Map on my Lap! 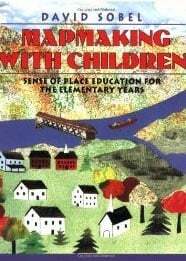 A First Book of Mapping Skills: Follow that Map! 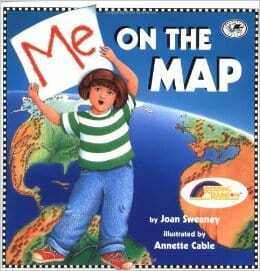 is a comprehensive picture book that allows kids to master not only getting from Point A to Point B, but to recognize certain map features no matter where they are in the world. A collection of likeable characters (both human and animal) waltz through the world finding out about new places and trying to find each other. Kids can search for each of the characters on each page and participate in interactive activities at the end of the book. 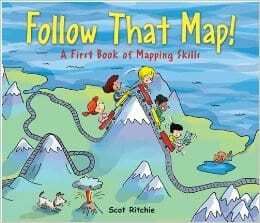 Read: A First Book of Mapping Skills: Follow that Map! Dive into the colorful world of mapmaking skills for kids and see just how much fun you can have together.